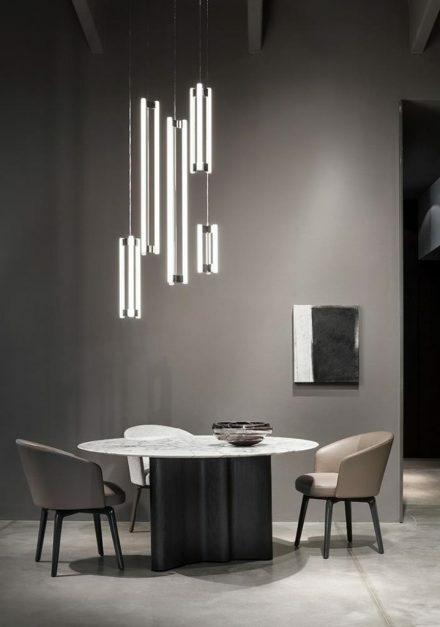 Minotti invites you to this review of their new collection, coordinated entirely by Rodolfo Dordoni, which also includes some products designed by Christophe Delcourt. 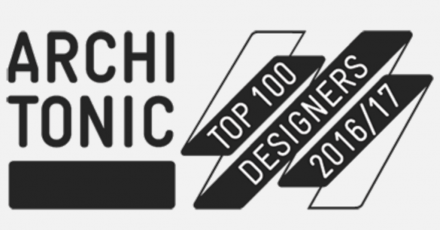 The inspiration for a collection marked by an intriguing layering of influences and styles, for a timeless elegance that is nonetheless strikingly unexpected. 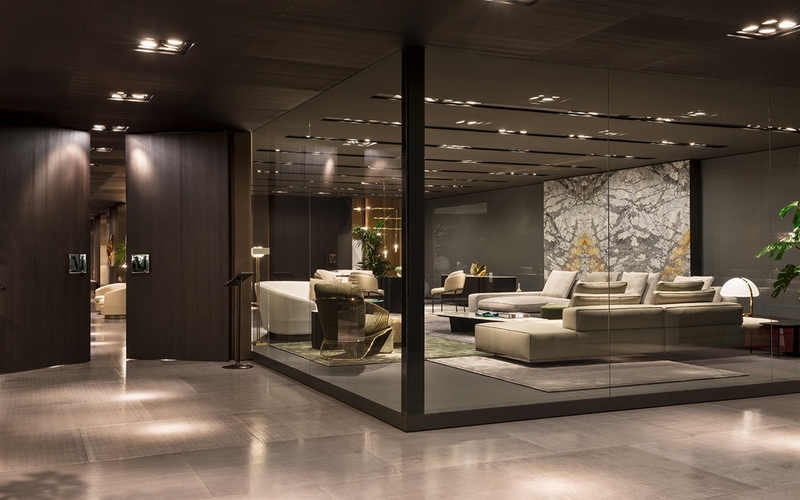 The Minotti stand – a space of more than 2000 sq. 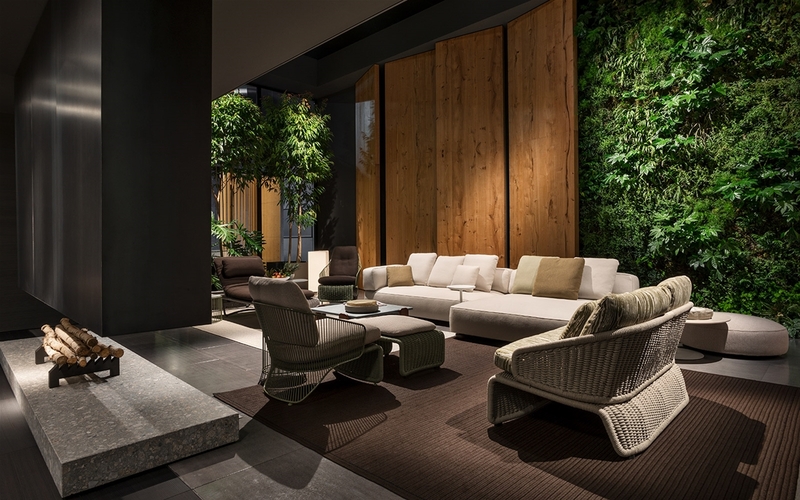 m that expanded over two floors – was the epitome of an installation, conceptualized to portray a vision of the home and a way of living that bear the unmistakable signs of the Minotti DNA. The entrance to the stand evoked that of a modern residence. 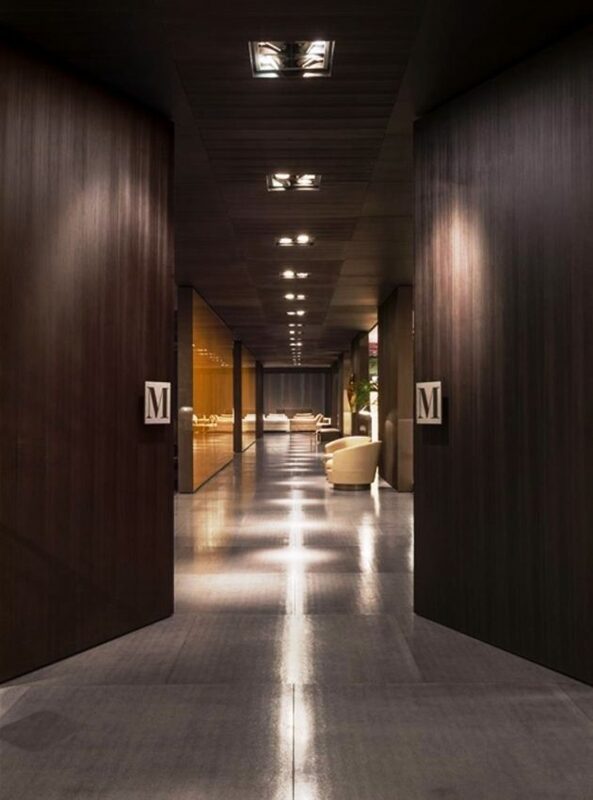 Once through the doorway, visitors were led on the discovery of rooms filled with charm and enchantment that set the scene for the new Lawrence, Lawrence Clan and Pollock seating systems, the Jacques collection and a wealth of accessories, some of which were designed by Christophe Delcourt. The interiors alternated seamlessly with the outdoor settings, crafted as a true oasis of green within the exhibit space, and the perfect scenario in which to introduce the new Florida seating system, alongside the Halley Outdoor and Colette Outdoor armchairs. 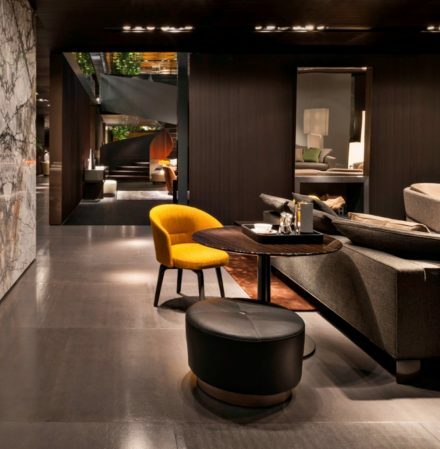 The video explores the presentation of the 2017 Minotti Collection coordinated, as were the previous collections, by Rodolfo Dordoni, and its staging in the exhibit space at the Salone del Mobile. The fascinating narrative unfolds through a sequence of images, leading the viewer through all the living spaces in the spellbinding architectural design built around the concept of a contemporary home. 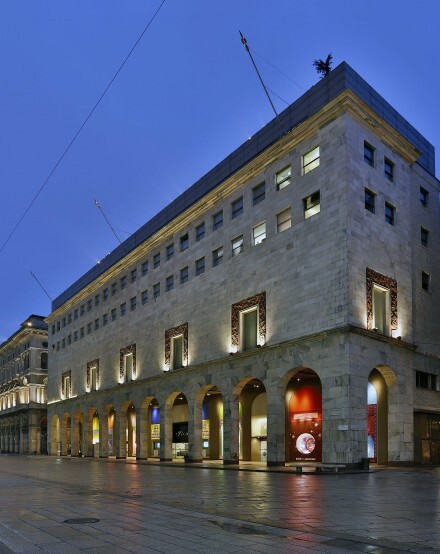 A succession of beautifully balanced indoor spaces and outdoor areas set the scene for the latest products introduced. 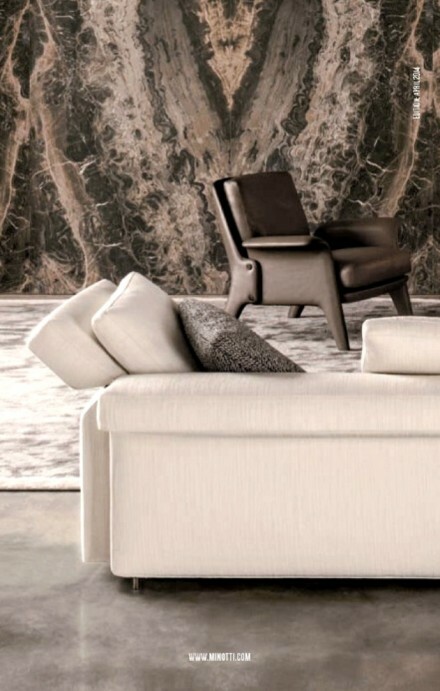 Sophisticated materials, like cladding in Invisible Blue marble, panels with Elephant Grey lacquered finish, uniquely textured wallpaper, metal sheathing, floors in Dark Brown brushed larch, Lava Grey cement and stone all came together to create this captivating exhibit space. 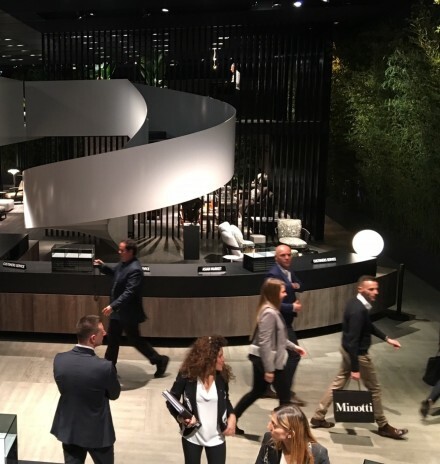 The new collection was warmly and consistently praised by the many visitors who filled the Minotti exhibit space during the furniture show. 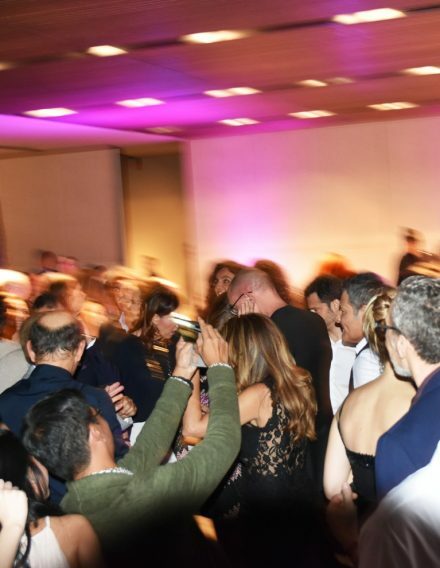 Each year, the mood and the staging of the new collection demonstrate the company’s skill at developing its own evolutionary design ethos of continuity, while at the same time expressing its creativity and innovation in fresh, unexpected ways. 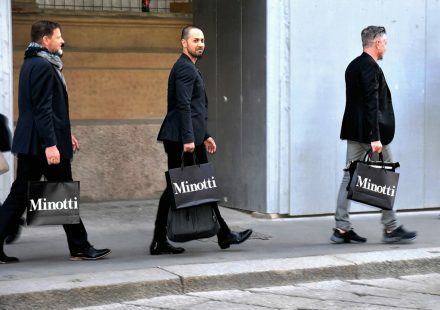 As in past years, the presentation of the new collection at the Salone del Mobile in Milan marks a pivotal moment in the company’s journey because it weds the architectural project, interior design and a modern approach to decoration and styling that clearly and precisely convey Minotti’s own aesthetic language and its ability to explore the unexpected while remaining faithful to its own traditions.